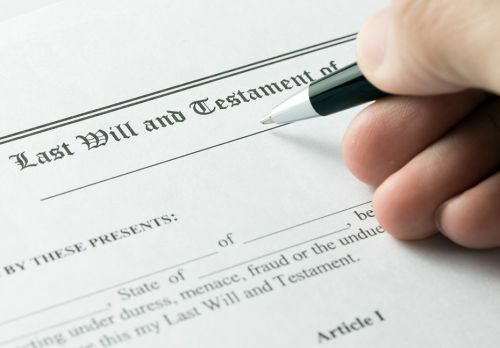 Our Trust and Estate Administration Team will assist you with ensuring your loved one’s Probate Estate or Trust is settled smoothly and as quickly as possible. We understand that losing a loved one is extremely difficult. In addition to being emotionally and physically drained, you suddenly have the responsibility to finalize your loved one’s trust or estate. The last thing you want to think about is paperwork and the process required to pay creditors, transfer assets, and complete the settlement of the trust or estate. The concept of “trust and estate administration” can be overwhelming and it can be hard to figure out what to do first. We understand what you are going through and we will stay by your side until every detail is addressed. Our Trust and Estate Administration Team is known for its compassion and exceptional level of client services. We are honored to help you and your family. Complete and process beneficiary claims for life insurance, IRAs, annuities, etc. Parmenter Law is family-oriented while providing our services. This approach carries through in our Trust and Estate Administration services. Your family’s needs and interests are paramount to us, especially during the loss of a loved one. Probate Estate and Trust matters should not distract you from your family. We will do everything we can to carry as much of the burden for you as possible. We serve clients throughout Michigan. If you would like to get in touch with our Trust and Estate Administration Team for advice or to schedule an appointment, please contact Heather Sikkenga or Lisa Bowers.